NASHVILLE, TN — Are your ankles swelling? Swollen ankles might be an early sign of kidney disease, according to Dr. Francesca Tentori, a Vanderbilt nephrology instructor and medical director of outcomes research for DaVita Clinics. The symptom is especially worrisome if you also have diabetes or high blood pressure. “We need more awareness around kidney disease, it is pretty silent, it doesn’t manifest with symptoms until late in the progression. It’s not one of those diseases that is talked about until the kidneys actually fail,” said Dr. Tentori. Dr. Tentori and DaVita clinics and dialysis centers are highlighting the prevalence of kidney disease in March as Kidney Month. Thursday March 14th was World Kidney Day. “One in seven adults in the US has some form of kidney disease – that is something that touches many people including someone we know or care for,” said Dr. Tentori. Because it is sometimes a complication of diabetes and high blood pressure, kidney disease and its more severe form — End Stage Renal Disease — disproportionately affects African Americans. Unfortunately, the symptoms are subtle. More than 14,400 Tennesseans suffer from End Stage Renal Disease, which requires consistent treatment. Tennessee, Alabama and Mississippi are the three states with the highest number of individuals with chronic kidney disease (CKD) according to the National Kidney Foundation. The very best strategy to prevent kidney disease, according to Dr. Tentori, is to manage diabetes and high blood pressure with appropriate medicine and diet, since the disease often accompanies those conditions. If kidney disease does develop, there are a variety of treatment options and strategies. Dialysis is the main treatment for End Stage Renal Disease but there are varieties of dialysis both at the clinic and options to have dialysis at home. DaVita treats 3,385 patients in 83 centers in Tennessee – that includes people who come to DaVita centers for their dialysis treatments two or three times a week and those who use a dialysis system at home. “The kidneys are basically big filters that remove the toxins from blood. When they no longer work, we need something to do that work. In hemodialysis, there is a machine and a filter and through a needle in the arm, the blood is purified,” said Dr. Tentori. 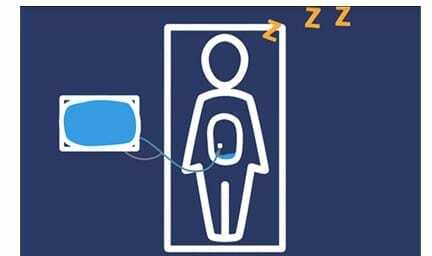 At home dialysis can include overnight with a machine cleaning the blood while the patient sleeps or peritoneal dialysis (PD) which is a needle free technique that uses a catheter inserted into the lining of a patient’s belly which acts as a filter. “Rather than use an external filter to clean out the toxin, we use the peritoneal membrane which is a membrane that lines the inside of our abdomen – everybody has it. Through surgery, we put a little plastic catheter into the belly, and then peritoneal dialysis fluid – a large bag of fluid inside the belly, and this membrane filters what we want to get rid of from the blood into this fluid. Then the peritoneal fluid is taken out through this catheter and that is how you purify the blood. It’s an internal filter rather than an external filter, “ Dr. Tentori explains. A kidney transplant from a living donor or non-living donor allows the patient a dialysis free lifestyle. Donated kidneys typically last 10-15 years, according to DaVita website, although Dr. Tentori cautions that they can be rejected sooner or last even longer. In any case, the patient is required to take immunosuppressant drugs on an ongoing basis to stop their body from rejecting the donor kidney. She urges everyone to sign their organ donor agreement on their driver’s license. DaVita Clinics is one of the largest clinics that specialize in kidney disease and dialysis. One of DaVita’s corporate offices is located in nearby Brentwood. The DaVita website has information on treatment options, diet and nutrition, risk factors, kidney-friendly cookbooks, kidney smart classes. Next articleWill My Baby Develop Pacifier Teeth?